Update 3: Please do not download this mod anymore. It has been superseded by a new mod: Colonial Charter 1620. I have no plans to continue this one, only working on the new one. Many of the resources from Lots Of Seeds have been incorporated into Colonial Charter 1620, and eventually all of them will be added. And yes, everything in Colonial Charter 1620 has new models, unlike Lots Of Seeds which had none. Enjoy. Update 2: Now compatible with The Fountain Mod. I think it was already compatible, but we used similar file names so it sent up some red flags. All good now. Update 1: By request, added growable berries. Berries grown in field are compatible with creamery. 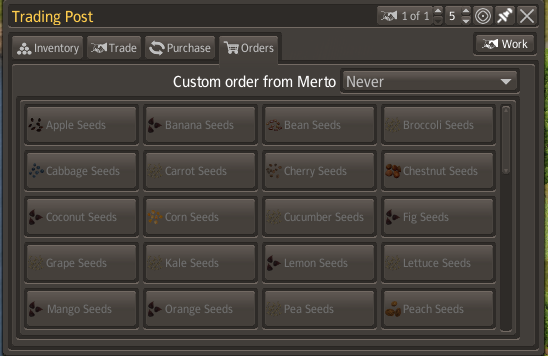 This mod adds 18 new crop seeds for your farmers. 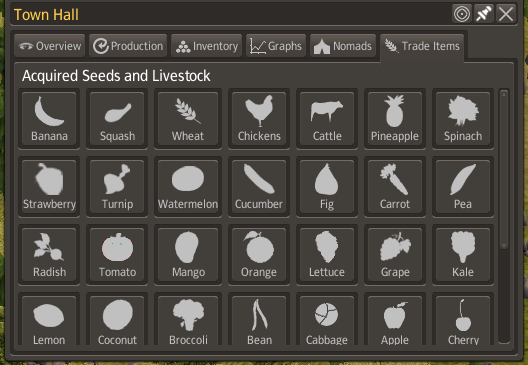 It also incorporates the Fig and Lettuce sample crops, for a total of 20 seeds in this mod. So if you use this mod, you should probably disable Fig and Lettuce or they will conflict. I don't know how to make new models, so I had to reuse existing crop and orchard models. 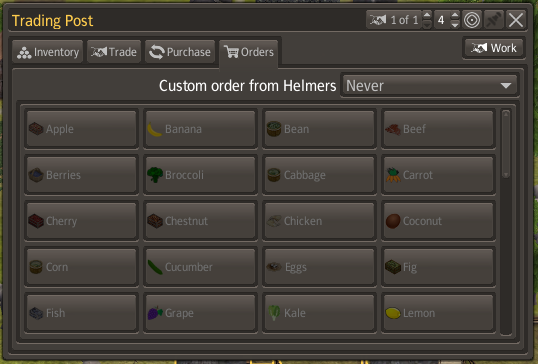 When I tested this, I used RedKetchups Merchant Crash Fix (http://banishedinfo.com/mods/view/646-General-Goods-Merchant-crash-boat-Fix). I don't know if it will work without it, I didn't test. There isn't any real change in functionality, just more options. Let me know if there is any problems., or if you want me to add any different foods. Added growable berries. Berries grown in field are compatible with creamery.